The new Canvas WalkMe provides real-time guidance that is easy to follow. WalkMe simplifies the user experience by providing on-screen, step-by-step guidance at the moment of need so that our instructors can complete any task successfully. This makes learning specific Canvas tasks more efficient and boosts SMU’s overall productivity. The Player Menu is accessible via the Canvas WalkThru widget, the button positioned in the corner of your browser screen, in Canvas. Clicking on this widget opens the Player Menu, which allows instructors to view and search through a list of available WalkThrus. When a WalkThru is selected, it will immediately launch step-by-step guidance seamlessly overlaid on your site. Instructors can access the WalkMe Player Menu, inside Canvas, using most modern browsers including Google Chrome and Mozilla Firefox. Without any software download or installation, instructors can access WalkMe in real-time as a SaaS application right inside their course. Simply click on the Canvas WalkThru menu and type in a question or task, then follow along as WalkMe shows you where to click, what settings to choose, and explains the options. 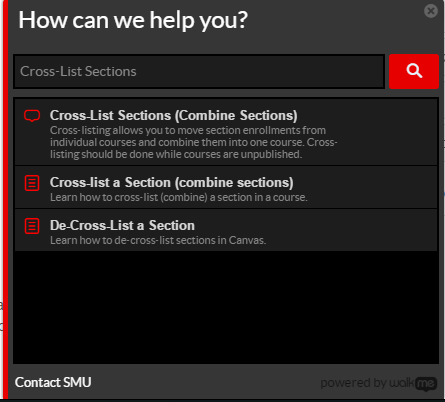 Currently over 100 tasks are available through the Canvas WalkThru menu. More tasks will be added through the semester. 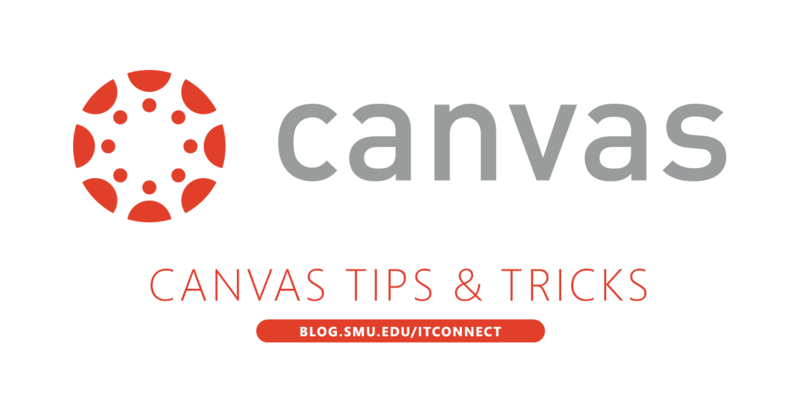 For any task not covered by the Canvas WalkThru, please feel free to contact the IT Help Desk at 214-768-HELP or your area’s Academic Technology Services Director. Previous Previous post: Duo: What’s in it for me?